Abad Property Management Services (APMS), yet another venture from the trusted ABAD group, caters to your needs of facilities management services for residential as well as commercial properties. ABAD Group has over 30 years of experience in hospitality industry and it's from this successful background that we have expanded into facilities management to further develop the range of services we provide. With this wealth of experience over the years, ABAD can provide customized service to meet your needs and requirements. Our continued commitment can be experienced through the highest quality standards of professional services we offer. From a humble beginning made way back in 1931 as an exporter of sun dried shrimps, ABAD is today a multi-sector corporate that has recorded its unique presence in the business and industrial landscape of God's own country with interests in seafood export, hospitality, real estate, property management and more. A t ABAD Property Management Services (APMS), our vision is "To maximize value for you and provide efficient management services at lower operating costs, while maintaining a high level of service". APMS was formed in March 2006 to provide Facilities Management Services for residential, commercial and office properties. We have the perfect blend of skills, experience, know-how, resources, presence and the infrastructure to meet challenges of every client, with an assurance for quality unmatched. 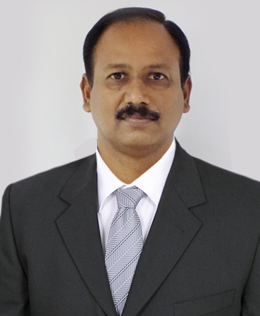 In his role as the HEAD – Electrical & Mall Operations of APMS, K Sreedharan provides overall leadership and direction for all aspects of the company’s operational undertakings including Project Commissioning, MEP –Facility Management and Mall Operations.He has been at the helm of APMS operations ever since its inception in 2008. Among his key accomplishments is the development and expansion of APMS –MEP business. 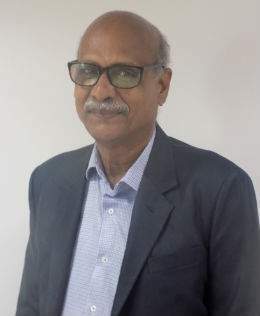 Sreedharan holds BE degree in Electrical and has held several leadership positions in various companies, including Crompton Greaves, The City Centre etc and has served 10 years in the Indian Air force as a non-commissioned officer. His vast experience in Electrical and Electromechanical systems has helped in building technically sound MEP teams under various APMS streams. 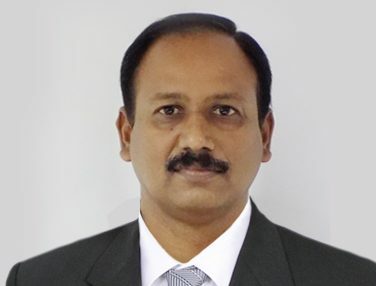 In his role as the HEAD – Electrical & Mall Operations of APMS, K Sreedharan provides overall leadership and direction for all aspects of the company’s operational undertakings including Project Commissioning, MEP –Facility Management and Mall Operations. As Dy. GM, Operations & Business Development, Alex joined APMS to build the team in their day to day operations and to provide overall leadership and directions for all aspects of the company including its Business Strategy, Marketing and Growth. 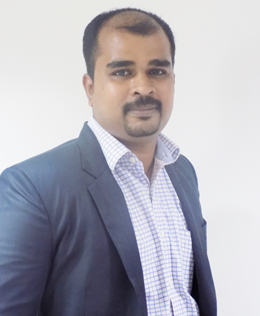 Alex has over 15 years of experience in the Indian Navy, 22 years with leading Telecom and Telecom Infrastructure industries like Airtel, Tata Tele services, India Telecom Infra Ltd. and other service industries across the country. With his expertise in administration skills, project management and business development he is able to introduce innovative concepts that contributes in providing superior quality service to clients. As Dy. 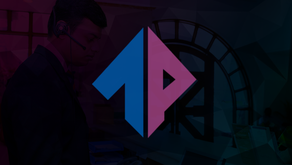 GM, Operations & Business Development, Alex joined APMS to build the team in their day to day operations and to provide overall leadership and directions for all aspects of the company including its Business Strategy, Marketing and Growth. With more than 12 years of rich experience, Adharsh, Assistant Manager – Soft services drives the soft services team of APMS. He is known for his ability to face difficult challenges and turn them into working solutions. His understanding of modern trends, combined with management skill provides customers with the responses and the delight they need, and has helped him take over many new projects. 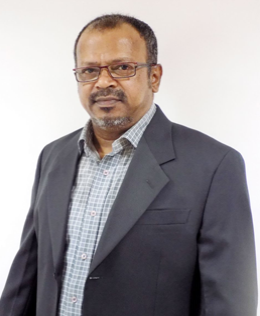 In his role as the Manager of the MEP Division of APMS, Suresh Nair with Mechanical background brings operational expertise with his 21 years experience in Facilities Management. He has held successful positions with Facilities Management companies like M/s.Jones Lang LaSalle (Property & Asset Management)and Cushman & Wakefield, M/s. Absotherm Service (PVT) Limited. With his vast experience in India and abroad in property management industry handling both Operations and Maintenance he leads the MEP division and ensures high quality and always emphasizes on strengthening competitiveness and improving the depth of services of APMS.